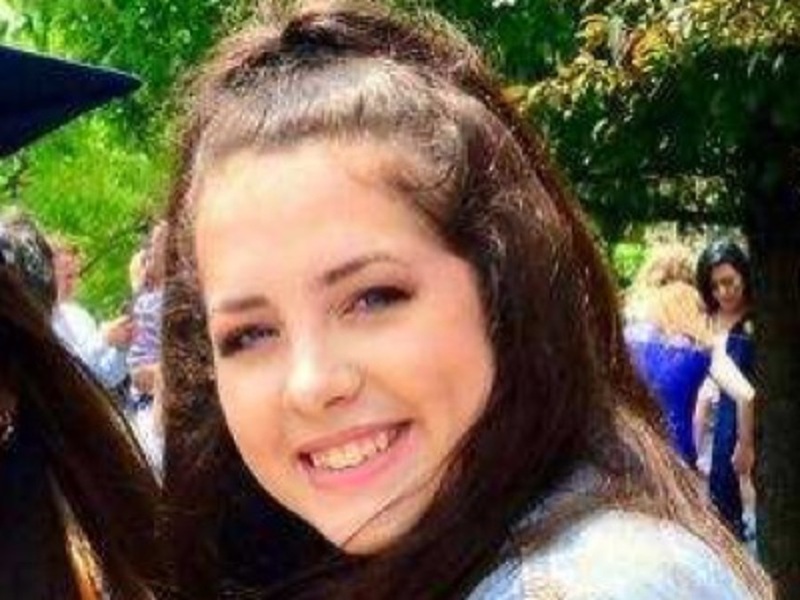 MONROE, Ohio -- The teenage girl who died Monday as a result of wounds sustained in a prom night car crash was "an angel" who "always knew how to make everyone laugh," one-time soccer teammate Carly Wheeler posted on social media that evening. Kaylie Jackson, 17, suffered fatal injuries when a Tesla crashed at about 6:15 p.m. Friday at 8200 Millikin Road in Liberty Township. The other three passengers had been released from the hospital before Jackson died. Police said its occupants had been speeding toward Monroe High School's prom when the 17-year-old driver veered into the opposite lane, overcorrected and caused the car to overturn and tumble off the road. Accident reports show that no use of alcohol or drugs is suspected. Investigators plan to check the Tesla's black box to see how fast the car was going. "There has to be a search warrant done, obviously, to get into the contents of that car to find out the factors on the speed, and those kinds of things take time. You have to send that off and somebody has to tell you what the answer is to that," Sheriff's Sgt. Melissa Gerhardt said. Jackson was ejected through the windshield and airlifted to the University of Cincinnati Medical Center. Her three friends, one of whom became trapped inside the vehicle, were taken to UC Health West Chester. The four of them were "inseparable" and had planned to attend Ohio State University together in the fall, according to Keondra Eberthardt, whose brother was hurt in the crash. Eberhardt's brother, Mitchell Foster Jr., was among the three surviving victims of the crash. The impact broke his nose and jaw. She said prom would have been one of many experiences the four friends wanted to share. "They were all best of friends, did everything together," she said. "Classes together, hung out, even going to college." "They loved each other like brothers and sisters," Eberhardt said. More than 100 Monroe High students attended a vigil Sunday for their classmates who were hurt. Monroe Local Schools superintendent Phil Cagwin said grief counselors would be on hand Tuesday to help students cope with the news of the girl's death. "We ask that you continue to keep the families impacted by this tragic accident in your thoughts and prayers," he said. "We will continue to do all we can to support our students through this difficult time." Editor's note: WCPO does not normally identify minors to respect the privacy of victims' families. In this case, the sister of Mitchell Foster Jr., who survived, talked with us Monday to tell us about him and his condition. We identified Kaylie Jackson, who passed away Monday, because the coroner identified her and her family has been notified of her death.